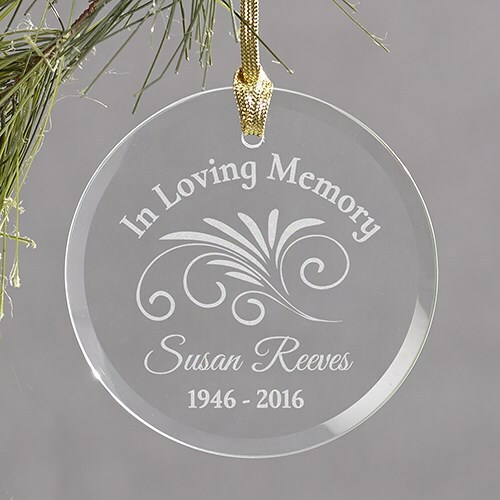 Create this beautiful Christmas Memorial Ornament In Loving Memory of someone who has passed away. Provide us with the name, birth date, and at rest date, and this ornament will be created just for you. If you are looking for a Memorial Gift Idea for someone this Christmas, this is also a lovely and appreciated gift. This is also a wonderful Sympathy Gift Idea for a Man, as it can be displayed on a stand (sold separately) as a year round memorial.